On Sunday 14th May we received an email from Raphael and Tatiana who needed their cake at super-short notice for their wedding a week later on Monday 22nd May 2017. So on 22nd May we delivered possibly the smallest and cutest wedding cake we’ve ever made (!) to the Roslin Beach Hotel. 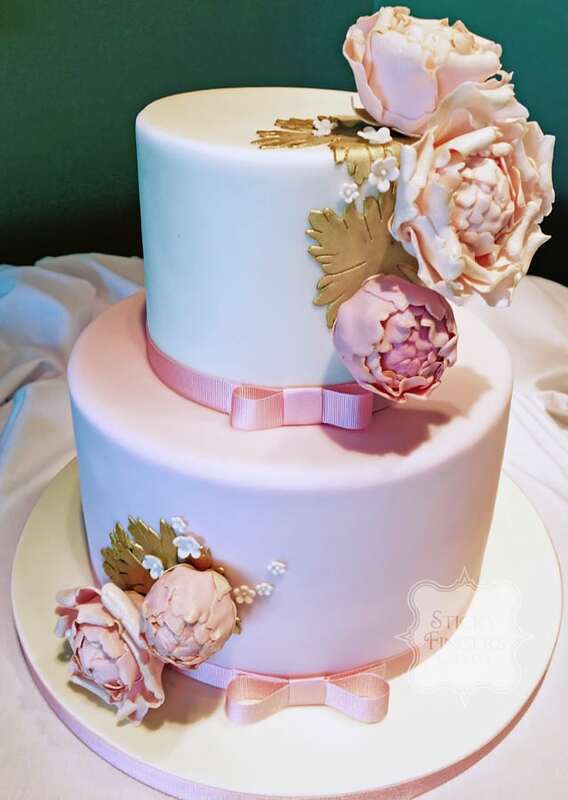 The colour scheme was ivory, pink and gold and they chose to have a cake similar to our “Laura” wedding cake, with a Rich Dark Chocolate bottom tier and a dummy tier on top. Wishing you huge congratulations Raphael and Tatiana, hope you had a wonderful day!